One of Dennis Family Homes most popular designs, the Hartley, is now on display at Berwick Waters estate in Clyde North. Well known for its roomy, practical floorplan, the Hartley features four spacious bedrooms, two bathrooms, three separate living spaces, and a study. 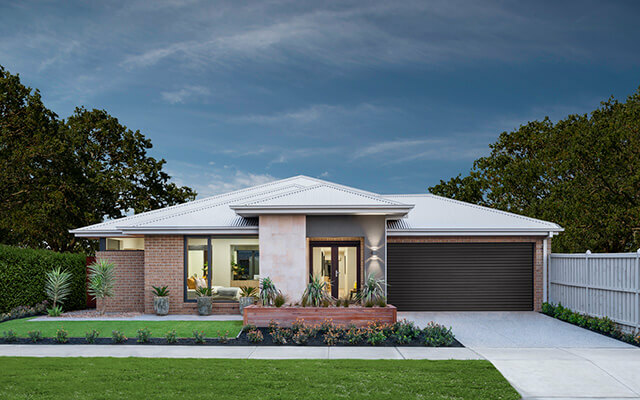 At Clyde North, the home is built in the 33 square version, with the contemporary Verve façade and the Premium range of finishes from the Inspirations Series. The Hartley’s practical mix of open plan and private spaces has resulted in a clever layout that can change along with the needs of a family. For instance, the designated study off the living space may start out as a playroom in the early years before ending up as a music room, quiet space or study as children grow older. 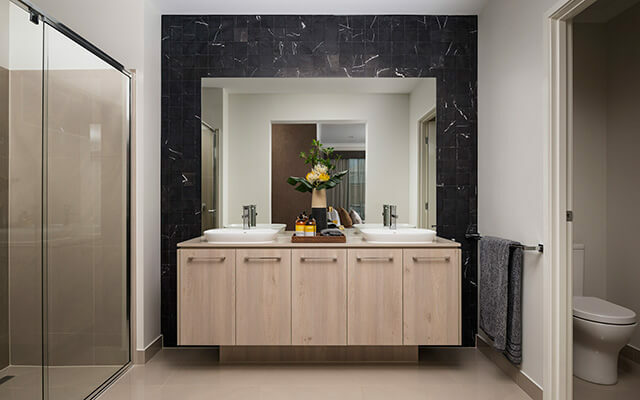 The door that connects the two way family bathroom with the largest of the secondary bedrooms is always a handy feature, and later on it can effectively create an ensuite for visitors, an adult child living at home or an extended family member. 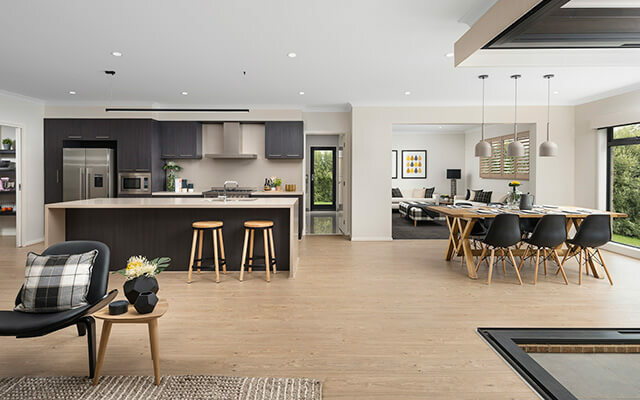 The display’s interior features a number of high quality finishes drawn from the Premium range as standard, including reconstituted stone benches in the kitchen, pantry, bathrooms and laundry, higher ceilings throughout the home and the fitted walk-in robes to the master bedroom. In addition, a select range of upgraded features that are available to Dennis Family Homes customers have been included. The stunning boutique sliding doors in the living area that slide back to create a seven metre wide opening are an upgrade which greatly enhances the home’s indoor-outdoor flow. In the master bedroom, the hotel-like feel that has been achieved by his-and-hers walk in robes is further enhanced by upgraded floor to ceiling tiles in the ensuite bathroom and additional cabinets in the robes, along with custom joinery and a large wall mirror to the alcove near the room’s entrance. The Hartley is available in five sizes ranging from 28 to 36 squares and can be built in any one of eight facades. The new display is open for viewing daily from 11am to 5pm at Berwick Waters estate, Littleshore Crescent, Clyde North.